What is the future of cloud networking? 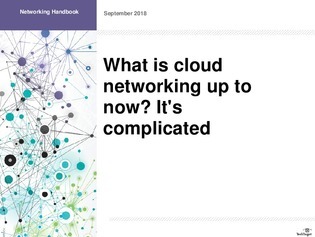 Since its inception, cloud networking has typically come at the expense of network speed and companies have been required to balance speed and security. Dedicated cloud interconnects are now becoming increasingly common, as they provide guaranteed bandwidth and lower latency, which eliminates the need for choosing between security and network speed. Dedicated interconnects also come with the added benefits of WAN service-level agreements and cost savings when moving large amounts of data. Learn more about the benefits of dedicated interconnects in this handbook.